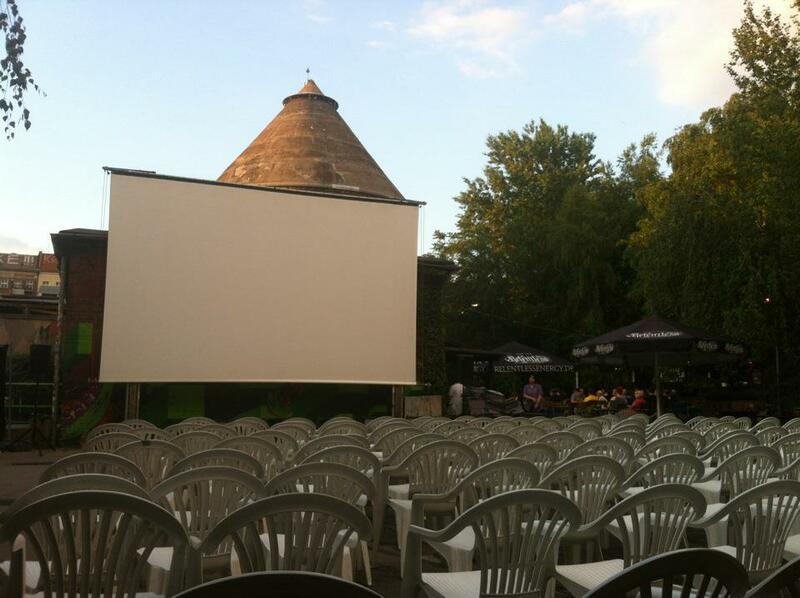 Open Air Cinema Island in Cassiopeia is an open air cinema located at the territory of one of the coolest club venue in Friedrichain,Berlin. The so called island (insel) includes an awesome summer garden, barbecue spots, umbrellas just in case it rains, chairs, lots of concerts after the projected movies, many drink stands, a fun climbing wall and many, many other entertainments. The Open Air Cinema will be running for the whole May and June and the movies will be mostly international both in English and German. Mondays, Thursdays and Sundays there are special game days! Cassiopeia is located on a busy street and in a very active neighborhood, so there is always more to explore and enjoy around.